The sharp dressed man can never have too many options and by options we're talking about Bassiri Uomo shirts. That is because the style and quality of Bassiri shirts is a cut above other pattern style shirts. 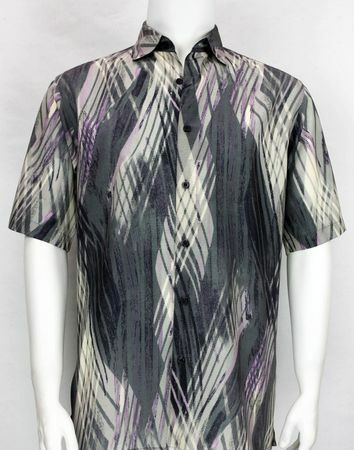 This short sleeve shirt features a black/grey and lavender fancy pattern that just looks great with black or grey dress pants. Made of fine microfiber.